This post is not the courtesy of Independent News Coverage Pakistan, However I am sharing with you all keeping in view the current political scenario. Personally my views are not involved about the post nor PTI or Imran Khan as a person or politician, hence in the light of the knowledge and stories which gets buried never see the sun, media hide and people never get to know INCPak is determined to share all with everyone since our commitment is to spread awareness knowing for some facts that This post is based on critics, it is your right to know what’s happening and who’s who. It has been 22 days that Independent News Coverage Pakistan, Website is officially launched and not only me but around 10 contributors are posting there, On the sites constantly making changes for your convenience to make it more friendly. On the Facebook already Sharing is caring Page which is Officially linked with a site for helping you all out is working 3 moderators ( Salman Zahid , Aleem Ashraf and Manii Xafar ) are helping everyone. now I have setup Qmobile Discussion Unofficial Page where same moderators are working and helping others out. don’t don’t to Like INPak Official Page on Facebook which is Key source of the information, mostly contributors / writers are posting on it, that’s where people report discuss and share so be part of it, if you are willing to contribute your article / post send me on submit@incpak.com it will be published with your name on the website in the related category. Support INCPak since, It is way different than Media and other news sources. Your support is important to make it a authentic platform by the people and for the people. I have been working 24/7 on INCPak just to insure everyone gets the chance to share the issue with Pakistan our society report those issues which Media doesn’t bother and It has nothing to do with political organization purely it is for the People of Pakistan. 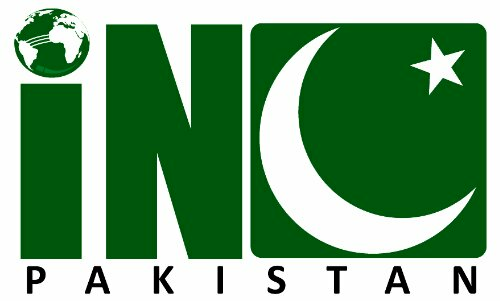 INCPak .com , that’s where discussions not only about the phones but about Pakistan carries on, one stop for the people to report , guide , suggest , aware , share and care. Personally i am thankful of all the visitors here on my blog now that the site is on http://www.incpak.com that’s where reviews comments reviews are placed, its by the people for the people so it is on to you all. Catch up on the site, those of you are interested in joining, to write , report issue , problem anywhere in Pakistan , INCPak gives you platform to represent yourself. Noir A10 my short review is there ! It is for the first time when common pakistani, speaks instead of some high profile, this is where we all unite under the flag ! Independent News Coverage Pakistan unlike any other news source speaks your issues and problem, spreads awareness and make Pakistan strong keeping all aside, it was my vision and my dream to unite Pakistanis at one platform and make them share their issues which we all face daily in Pakistan. The media has proven that they neither speak our issues nor represents so why not you and together make our voice heard ! The voice of the people, contributors are welcomed those who understand the value of freedom of speech. Totally non political, based on ideology of being Pakistani nothing else, we raise those issues which media doesn’t bothers if they are with us or anyone else we speak and make the world hear us. It’s cyber age where social media vs electronic media, why sit silent and bare all when our can be heard in different corners. Don’t wait for the change but be the change, United we Stand , Divided we Fall ! Join INCPak and become a member by being contributor, if you think you can represent issues and problem, than INCPak is the right place to be. Support INCPak , Allah knows that I am not different than you all I felt the need of it and I stood waited for a team today, by the graces of Almighty Allah we are working as a team and yet its getting bigger. Visit INCPak if you are interest, share along I am totally against our sick media which portrayed totally opposite image of Pakistan from no where Pakistani they have millions and billions, Money so we have Allah , who’s The Greatest. It may sound odd today but with time you and will witness how we shape and make it right being together. Tech Talk Forum The Ultimate place for discussion about technology, I started up here later added facebook page Sharing is Caring where all members share now its linked with INCPak site, expanded the possibilities of discussion sharing and caring now Tech Talk has taken the place. We INCPak seek for the better, united, awared, prosper Pakistan you support will make it possible. Now its time for you to talk and share because you’re the voice. I have no doubt those who are in favor of our motherland Pakistan will stand along with me, not just to promote but to make a strong better Pakistan for the generation ahead. Site is on test basis changes, officially launch will be in few days right at this moment Forum and writers opinion, Editorial section is active, your support will prove how much Pakistan means to us. I wish you a very happy Eid, at this time all mobile services are down in Karachi and I think other cities as well. Stay safe and Enjoy the Eid all together. I recently not been able to post but now I am posting via phone so hope will keep you all updated ! I really appreciate that you all visit comment and share information since I been planning to extend it, News Reviews and Technology plus my Articles. I require your suggestion related how you want site to be since I believe in caring is sharing, I been getting good feedback on Face book page hope all have joined, simply helping each other is very soul satisfying and I get know people from different occupations it’s really great to know all of you.